Our strategy for Angry Birds Seasons The Pig Days Level 1-1 is to fling Matilda over the first tower, and drop the egg bomb on the fireworks rockets to clear the middle structure. Then clear the first and last towers with bomb birds. The score in the video below is 130,130. Note: This level commemorates the 45th Anniversary of the Apollo 11 Moon landing. Bonus! Our The Pig Days level 1-1 Mighty Eagle walkthrough is live as well! For a complete list of events, please visit The Pig Days Celebration Guide. Send WB straight ahead and bomb the rock with the pink blobby things on: they’re worth 3k each. The WB carcass hits the bits of concrete off the back of the flying space car thingy and the fallout sets off the fireworks. Then it depends how much damage they do and the best I’ve had so far is one piggy left over, which I’ve hit by blowing up the eggsteroid. Thank you, @pauliboy, your strategy worked for me. Two observations, @pauliboy 1. Love the pink blobby things description. Awesome. 2. Calling the White Bird a WB carcass after it drops the egg, however, is kinda disturbing. Not sure that letting go of that white egg grenade actually kills Matilda. Just wanted to point that out since this is a site for all ages; we wouldn’t want the little ones freaking out because they thought they killed off one of the Angry Birds just by playing the game, would we? Thanks for #1 though. It ranks right up there with sparkly thingies! Aloha. @surfcow – you’re right. How insensitive of me! What was I thinking? Is ‘deflated’ a kinder word, do you think? Perfect. Very clever, @captrec – eggcellent, actually. Aloha. @Pauliby, I used the same strategy. I came close to a 1-birder but found that I could get higher scores by firing into the debris. The structure at the far right is an especially high value target. If the pigs within are popped but the stove hasn’t blown up, there’s around 20k points available. @jwgardenwiz – I agree. More birds is worth the loss of bonus points if you get lots of collateral damage. For me, one birders score in the >130k range, 2 birders in the mid to high 150k range and my best score (>170k) was with a 3-birder. i was revisiting the pig days levels to see if I could bump up my scores now that I have a bit of time. i found your tip about the pink blobby things, which helped me raise my score a bit. thanks! i finally added another 4k to my score but cant seem to get much hugher. time to move on and revisit in a few weeks. I dropped the egg on the rover with the WB hitting the egg satellite and the raining eggs landed and hits lots of points on the left side and also set off the rockets. Possible one birder. For me I had the far right structure for the bomb bird. Two bonus and 149k. @captREC I asked the same strategy without knowing yours and after beating the level with 3 stars from here is amazing! 1. Dropped egg on red things on rock. Bird carcas hits the egg filled object. 2. Bomb bird into the tube of the telescope. Blows the middle up, sets off rockets, rockets hit floating glass ship, ship falls onto the far right structure, collapsing it and the stove goes off….score varied depending on luck of debris points. I drop the egg just before the rock with red thingies. Carcass should hit top of EFO (egg filled object), dropping the whole thing. Came back to see if I could improve and can’t come close to 168k. I didn’t realize at the time, what a lucky score it was! The game is freezing a lot. Sometimes it will stop and start going again, other times I have to hard close the app and reopen. Anyone else? Me too. Game sometimes freezes, sometimes stops and starts again. Several times I had to close the app by OS, because of “total crash”. It’s similar to GE #50. I have Android version, too (Samsung Galaxy Y). Yes, The level is constantly freezing!! Only thing I shut it off, and re-start! Thanks @memyselfandme for the great strat..and @skowse for the tip!! Very different type of flinging needed here lol. .I just started these levels fun but difficult! ! Improved from 161 k to 175,880 with 3rd bird. I used 3 birds and by the looks of it, I could have used @myselfiandme‘s strat. My first and third bird are the same. I send the white bird like mentioned before, releasing the egg just before or on top of the rock between the mooncakes. I did aim white in a way so she would drop on top of the satellite with the eggs, this way the whole thing comes down. Second bird to the right and third bird to the pig in the telescope creating a chain reaction. I got a score of 158870 this way. @e-star. My strategy was two birds. Your 1st and 3rd birds. But, many times there is lots of debris out left. If my second bird doesn’t destroy enough, I do sometimes launch a third bird to pick up debris points on the right side if I think there is 10k left there. Tranquility Base here. Followed @e-star video and got 163220; thank you, @e-star. I also managed to get the Mighty Eagle but had to use all 4 birds and then put the Eagle down where the rover had been. This is a fun game. I couldn’t play AB games without the Nest, it is a brilliant source of help and inspiration. Thanks too for all the other videos you have done. Whenever I play a new episode, my first port of call is the Nest to look for one of your videos. Keep up the good work. I didn’t fling any bird for eagle, just drop sardine on front (ice surface) of last tower with two pig. I got over 162K even though the average is 151K, is this normal? @rowdypup It could well be, the top score is 169k, so sounds like you have a good score there. So long as you didn’t use any Power Ups your score is fine. Average is just a measurement of the lowest and highest scores, not a lot of people reached the 160k mark or higher. If you enter your score in your leaderboard you will see there are 7 other people who have gotten such a great score. You’ve written “Average is just a measurement of the lowest and highest scores”. I thought that average score is a measurement of ALL scores. Lowest and highest scores could be very different (extremely low or extremely high) – in that case average wouldn’t be reliable. How is it with average score? @Atmosfear I believe @E-Star was trying to only give a broad idea of what “Average” should be looked at from a glance. The rigorous definition is that ABN’s “Average” is the arithmetic mean of all scores entered on a particular level. Take all scores, add them together, divide by the number of scores, boom. I’m with you, @atmosfear, even though I quit liking math halfway through calculus. But that hasn’t stopped me from asking for lots of number-related analysis from the Nest admins. For example, wouldn’t it be great to know the median score for a level? Or, how about plotting standard deviations on a chart/graph thingy? One idea I’m surprised they haven’t implemented yet: putting the player’s name with the Low Score for each level right below the Top Score. Controversial, yes, but wouldn’t that light a fire under some of the slackers who post sub-standard scores? Definitely. I’m glad you caught @e-star in her gigantic fib. We have to keep an eye on her because she throws out hoodoo-voodoo facts all the time. Well, at least once a month. Aloha. In my opinion, getting the lowest score in some AB levels is a great achievement. @atmosfear — For a while we had a low score contest on ABN. It was great fun. You can probably find it in the old forum. Goal was to complete level (pop all piggies) while getting the lowest score. not sure Id call people who post lower scores slackers. i myself tend to not post low scores, but others may post their scores even if less than average because they havent yet gotten a lucky shot needed on many levels, or theyre not playing on a platform with an exploitable bug, as we’ve seen so frequently, especially in the pig days levels. they also may be younger players who i really feel shouldnt be singled out for derision in any way. the whole intent of this is to have fun, lets not risk taking away the fun for lower scoring players. 173 with 2 birds. Same method. !st like E-stars 1st shot, 2nd quickly into the funnel so it gets to the funnel before the egg cage. @skowse thanks for the extra tip, I used it to make a new video and got a score of 167k. Stressful to send the bomb bird in right away (swiping the screen and not even looking if the egg basket drops down or not), but it works like a charm. The eggs fly everywhere creating more points for debris and better chance at a 2 birder. Thanks @e-star increased my score to 160470 will keep trying the quick second shot. Gotta be real fast with that second bird! My first 168k score The eggs didn’t do much damage to the telescope so I still had a clear shot. I just got a second 168k score with 3 birds this time. Thank you @skowse ;-) This is definitely the way to go! I’ve improved up to 166760 with your tips and that’s with using the third bird to get the rest of the right structure. I’ve gotten a dozen scores over 160K, both with two and three birds, by sending in the second bird to the telescope/funnel before the eggs have time to fall all the way down and settle. The explosion is much better and it allows the eggs to act like “bombs”, doing more damage as they hit things. P.S. I forgot to add that if you do need to send in a third bird…try sending it to cut through and land towards the back so that when it explodes, you can get some of the “hidden” points off to the right of the screen. If you look closely, you can see a partial “faded” cement half circle with wood planks underneath. There’s actually quite a few points there! @lesleyg I came here to see if anyone else had noted the same thing. Still working on how best to exploit this. I was hoping that if I lofted a BB to the far right there would be a scoring bonanza, but not so yet. Sometimes sheer stubbornness pays off. Thanks @skowse for the strategy. I was stuck just under 160k, and then after multiple attempts the angry birds fortune smiled for a top score using the rapid strike second shot. I hope I did the screen shot posting right. I tossed a few exploratory lobs there and found the same. Nice score @jetmang! That’s the longest I’ve had a top score – 2 days. Don’t think I’ll revisit, though. Time for level 2! Thank you. I doubted the high scores I was seeing here but just kept trying. Note: I lost my previous high score when the glitch froze my screen. Be careful if you have a high score not to mess with the glitch, just exit AB and go back when things have reset. Thanks @myselfiandme for the strat, & @skowse for the quick 2nd shot tip. Anyone else having problems with this level freezing? I play on ipad3 and it’s happened several times. The last time I swear was on the way to a 160k+ score. At least that’s my story and I’m sticking to it! Another weird thing I’ve seen happen, after something hits the rockets & they get ready to fire…. they just disappear. They don’t fly off, they just shake a bit & then vanish from the screen. Had it happen 3 times. @karen68 I’ve had the mystery of the disappearing rockets as well. I have a feeling the physics engine can’t handle multiple competing demands for calculations. Yep! More than a few times in just 30 minutes of play. It is freezing and crashing almost constantly now, I am lucky to get a few turns. I have cleared the cache, closed all apps and rebooted, and still it crashes. Guess I will settle for my current score. What OS do you have? I have the same problems (freezing, disappearing fireworks etc.). Maybe it depends on software or device? I have Android(Samsung Galaxy Y). Should have added my comment below to this thread. Over two weeks later and the freezing requiring restarting the game has happened once today, but the disappearing rockets is still quite regular. I’ve got 152k with both one bird (low Matilda) and with all four birds. Working with e-star’s strategy but haven’t pulled it off yet. I’ve had all the stars in the Ursa Major constellation fall out of the sky, apparently for no reason. I assume something must have triggered this, but I’ve no idea what. Any ideas? Well I haven’t seen all the stars fall out if the sky, but I have had everything disappear on me (see attached photo). Very buggy level. Definitely an irritatingly quirky level. Trying @e-star‘s strat and finally got a good hit on the rockets and they disappeared. No explosions, no points, just gone. Back to the drawing board to try to increase the score. Buggy indeed, I had a part of the planet disappear on me as well. I even recorded it, the game froze up on me for 20 seconds after which things just disappeared. You can see for yourself in this video. Major bug on this level. Screen froze mid-fling and I thought the app was going to crash. It didn’t, and after it unfroze everything on the screen exploded. @bln81 We do not permit scores obtained in such a way, I’m sorry. @admins, I am a little doubtful of the current top score of 186k. Perhaps it was obtained with this spontaneous explosion? I think you might be right @bonneypattycat. Played lots of times and had a few freezes, but without an explosion. Then just now, using @captrec ‘s strat, of dropping the egg on the rover and WB hitting the egg capsule, eggs started to fly all over then everything exploded (screen didn’t freeze). Score racked up to 189K, which is why I think you are right about the 186K top score. Then, even though there was nothing left, after a couple of seconds, score racked up again to >200K. Needless to say I’m not posting the score, just thought you’d like to know. Thanks for sharing this @peejaydee27. I know scores in the high 170s are very difficult to obtain, and even with my 176k score, there was very little debris. I could not see a way for a 186k score with two birds, and it is impossible to do with one bird without the aid of a glitch. I really think this level should top out around 180k. Pur-fiction. 2birds 1st bird to about a 45 degres to top of right leg dropping egg befor hitting causing maximum damage to first piggie loner structure and also nocking off two of the supports to the Rocket tower but not setting them off “.. 2nd bird flattish type throw to hit rockets but detonating on impact causing a catasrofic explosion whiping out the whole screen and no power up. @hemma the way you describe the results of the second bird sounds to me like the glitch described above. I do not see how such a high score is possible otherwise. Scores from this type of glitch are not usually permitted. See note from @AMslimfordy higher up. Hi @bonneypattycat. I had the same thing happen to me as @hemma a few weeks ago. Current score on my play screen is 200,350, but because of the ruling by @amslimfordy about glitch scores, I didn’t enter it, hence my current official score of 169K. In fairness I agree with you that the same rule should apply to everyone. No doubt admins will decide. The Loona craft and three bricks where taken out of play without detonating non of the rockets witch it is not eisally done. @hemma as a glitch score, it should not be posted. It is not right to claim top score away from a flinger who achieved their score in the normal way, usually taking many hours and attempts. While some types of glitch scores are sometimes allowed on the leaderboards, usually the ones that “wipe the screen” are not permitted. Tell me about trying for hours I may not have been trying for hours on this one but I have been playing on different levels for days if not wees or maybe months but you may no when you get a unballivable score every body wants too put you down. I have made a very good score and if you say it was a glitch then why did it give me a final score. My score was so good because of my first bird did so itch dimmiage to the effects I have already explained. The second bird was right on the right spot to take all them rockets down into that small pocket then detonating BB to cause a kerlosal explosion. I have tried to repet it but unable to what I had done with that fist birde. @birdleader could you please address this issue. I believe scores much above 180k are from the glitch that @AMslimfordy stated are not allowed. It is my understanding that scores resulting from the screen “blanking out” or “wiping out” are not allowed. It was not a glitch but cause the size of the explosion the screen looked like a white out but looking at my screen shoot it was not the case because it shows you the trajecttory. @hemma – So does this mean I can enter my score of 200,350??? @Hemma This really does sound like a glitched score. @AMSlimfordy — There are now 3 scores above 190K; if you think it is a glitch, are they being allowed? Now there are 8 scores above 190K, why did mine get scratch but not those I gave a valid reason and there was no freezing of my game. I will not red flag them so you can reinstate my score; or red flag them yourself?????? Well @hemma, I see that you now have a valid score with the new update! Good for you!! I’m just another player and I had the same frustration with glitch scores not being allowed. But they were glitch scores, pure and simple, and to allow them, yours included, would have been unfair to everyone. I’m trying to improve my earlier scores and I got a very high score on this game. I’m certain this score is down to the “glitch” described above so I won’t be posting it. When I launched the white bird and bombed the pink blobby things mentioned by @Pauliboy the screen didn’t move to the right but froze. Things were happening to the right that I couldn’t see, then the 7 stars above the bird launch pad fell from the sky and I finished with a score of 170520 and three bonus birds to total 200520. As I said I won’t be posting it as it looked very dodgy to me. While waiting for the next PD-release, I was returning to this “old” game to try for a better scoring. Until today I never saw the glitch developing on my ipad – now I got it. After sending 1st BB through the telescope, picture froze. I waited a short while and after a couple of seconds the game continued step by step as in a stopped or slow motion strip. This interrupted action repeated a few times and finally everything blew up in a total explosion, showing and counting score points of every “destroyed” piece. Adding 2 remaining bonus birds resulted in 208k: unofficial glitched top-score? Of course, I will not enter it here, just posting the event for the community. Take care. Has any glitch or bug been reported for this level? The program hung for about a second and then everything blew up for a score of 200,890. Nothing unique in approach, same as Pauliboy. Previous high was 152,270. Thoughts? Oops. Didn’t read far enough. I won’t post the 200K plus score. I try a few times and have scores about 140 a 150′ thousand. Then explodes everything and i have more than 207.000 ! There is a glitch. My best “real” score is 152,270. After the glitch hits, I had 200,890, which I did not enter. Hi @swanz. Sorry to have to point this out, but if you read the threads above, you will see that you have a “glitch score”, and these scores are not allowed on the leaderboard. I had 200K plus which wasn’t allowed, and other players have had similar high scores removed by @admins. So I think your score is also not valid. And why clean they not the impossible nhighscores on many other levels here and by Starwars 2 ? 3-birder w/o glitch (see remaining debris: https://www.angrybirdsnest.com/members/aki-van-emden/album/picture/14417/). No new strategy. Awesome @aki-van-emden – brilliant for a non-glitch score! Should be #1 now, but there is still a glitch score showing as top-score, which isn’t right of course (see my earlier post from May 9th). I’m sure @admins will get to this, but it probably takes a few days. If you look further up the thread, @bonneypattycat had the same issue with another player’s glitch score, and it was eventually removed. Perhaps they will consider putting a cap on this level to prevent this recurring issue. Congrats anyway!! Thank you, PeeJayDee27. We will see, how long it takes (either to get rid of glitched scores, or to have someone with a higher valid result). A cap might be a good idea, possibly set up at 200k (however, top-score flingers might come close to this limit even w/o glitched scores). @admins, please reset limit to 200k as Aki proposed. My 3-birder (no glitch) resulted in 192610: https://www.angrybirdsnest.com/members/klara-van-emden/album/picture/14419/. Thanks. That’s great @aki-van-emden! Looks like you guys have got this one stitched up for now! @swanz – no one is “stealing” anything from you. If you take the trouble to read all previous posts, you will see that players with LOWER scores than yours have had their scores disallowed, because they were obtained from the glitch. Some players, me included, didn’t even enter scores because we knew they were invalid. In your own post on April 27th you exactly describe the glitch that many if us have experienced. With all due respect, why should you be treated any differently? If your score was allowed, now THAT would be not fair. Admins are the judges here, and removing your invalid score is absolutely correct. Rovio must created a good working game for the millions the players payed . The last version of seasons are rubbish. is it possible to send a screen-shot with your score of 192610?? thank you! 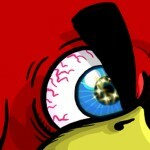 @admins, the story is going on: https://www.angrybirdsnest.com/members/aki-van-emden/album/picture/14435/. Please adjust top-score limit. Thank you for your help. @klara-van-emden, see what I meant? We should encourage our fellow flingers to return to this old level (after all these updates). Well, since the update this is really like playing a different game. First of all the glitch has really gone it seems. I had it so many times before, usually triggered by the rockets going off. Either the game froze or the “sky” collapsed and gave the crazy glitch scores. Now you can’t get it to happen even if you try (at least, that’s my experience so far!!). The structure filled with eggs seems more easy to bring down in one piece, and now they don’t freeze, the rockets can do real damage. – Matilda to bomb the middle of the rock with purple flowers and hit the egg structure above to trigger it to fall in one piece. – QUICKLY lob first bomb bird (tricky) into telescope tube and manually activate before the falling egg structure spoils the shot. You want the red pole-thing on the roof to be shot up to hit the space buggy. This should take out everything else except the far right structure. Thanks for the strat and screen cap. Any chance you remember what sort of score you had after the first bomb bird? I understand it may vary a bit due to destruction, but I can’t get over 113k. I also have not perfected the first and second quick shot combo yet. Also, which version did you get it on. I’m currently running version 5.1.1 so not sure if the has been “fixed” or is still possible. I’m also using 5,1.1. After the daily challenge for 1-12 (Hobbit Day), when it was obvious that the latest release had made some levels easier, I decided to retry 1-1. The glitch has been totally fixed as far as I can see, so these recent high scores are non-glitch scores that wouldn’t have been possible before. Thanks for the update and screen cap. I still have not been able to perfect that 1-2 combo (may be my geezer reaction time). I have had pretty good luck getting the EFO (egg filled object as coinded by @bonneypattycat) but still can’t get the first bomb bird into the tunnel of the first structure in time. I’m up to 183k with 2 birds using your method. I too used the same strategy we were using before, but I like to let the first bomb bird settle as low as possible and let it self detonate. @bonneypattycat – yes, much more fun now it’s been fixed. Was thinking of trying to up my score again, but perhaps wait in case it gets chosen as a challenge?!! Could do with another puppy lol. @peejaydee27,@bonneypattycat Really this level has got easier? @kathy, oh yeah much easier to get scores above the 170s now. When it was first released, a score in the high 170s was super tough to accomplish, unless you had the aid of the glitch which never paid off for me at all. Sorry @bonneypattycat i didn’t see you post, I think i missed the update, was it the most recent one with ham dunk finals? @kathy, since you have a score in the 180s, I think you have the latest update. A score in the 190s can take some time. Keep flinging! I followed @peejaydee27 ‘s strategy above. Same 3 birds. Have you got a screenshot of the remaining debris to share? Or some other recollection of that event? @thumper1170 Any tips you can give on the top score? Congrats on the trophy, I can’t seem to improve at all how many birds did you use?